We are happy to be working with Annis Pratt, who has published books I, II, and III of her Infinite Games series. 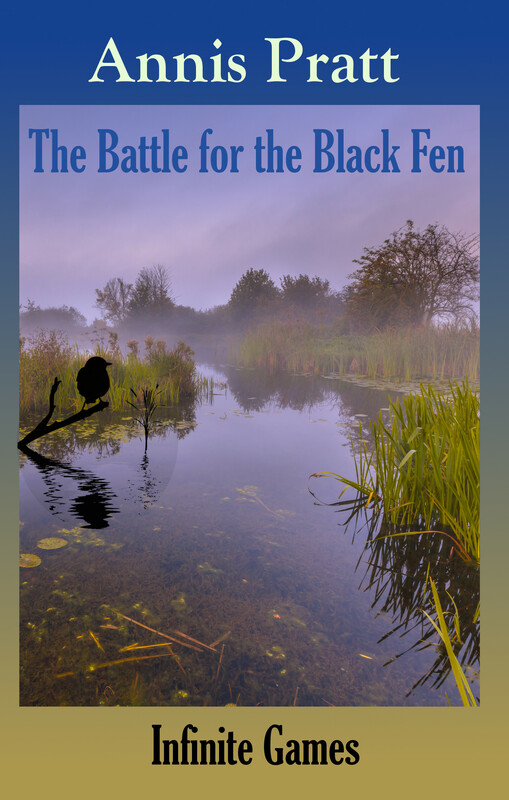 Moon Willow Press is taking on volume IV, The Battle for the Black Fen. Annis Pratt’s novels are full of passion for the natural world and enthusiasm for the details of everyday life. Her invented worlds are more realistic than fantastic, and her speculative fiction imagines ways to live in harmony with each other and with our planet. Volume I. In The Marshlanders, the heroes—Clare and William—are adopted as children by a community of marsh dwellers and coastal farmers. William’s father—a pharmacist—is murdered by an alliance of clergymen and apothecaries. Clare, at the age of eight, barely escapes with her life when ministers work up a mob to kill her during a public shaming of her mother. Read a sample chapter. Volume II. In Fly Out of the Darkness, Clare and William, relentlessly pursued by their enemies, flee north for safety. Clare, 17, finds herself pregnant and gives birth in the northern woodlands. 21 year old William barely escapes the dread Crocodile Militia and is imprisoned and tortured by his enemies. In despair over losing Clare, he decides to enter a monastery on the refuge island of Cedar Haven. Not only Clare, but her daughter Bethany as well, make it to Cedar Haven. Will she recover mentally? What about William’s vows? How can Cedar Haven sit idle when their Marshlander allies face destruction of their homeland? Read a sample chapter. Volume III. In The Road to Beaver Mill, Bethany, who is almost twelve years old, takes flight on a winged pony from the island refuge where she has grown up. Furious at the demeaning sexism and harsh life at the fishing community where she has been sent to live, she rebels. She visits her milder-mannered cousins, where she learns about her natural father and stows away on a sailing ship to seek him. Meanwhile, her family and friends leave their island sanctuary and hear that she has been thrown into prison. They rush to her rescue. Read a sample chapter. Volume IV. In The Battle for the Black Fen, three companies set forth to gather their allies for battle. The Dunlin Company returns William to his beloved farm. 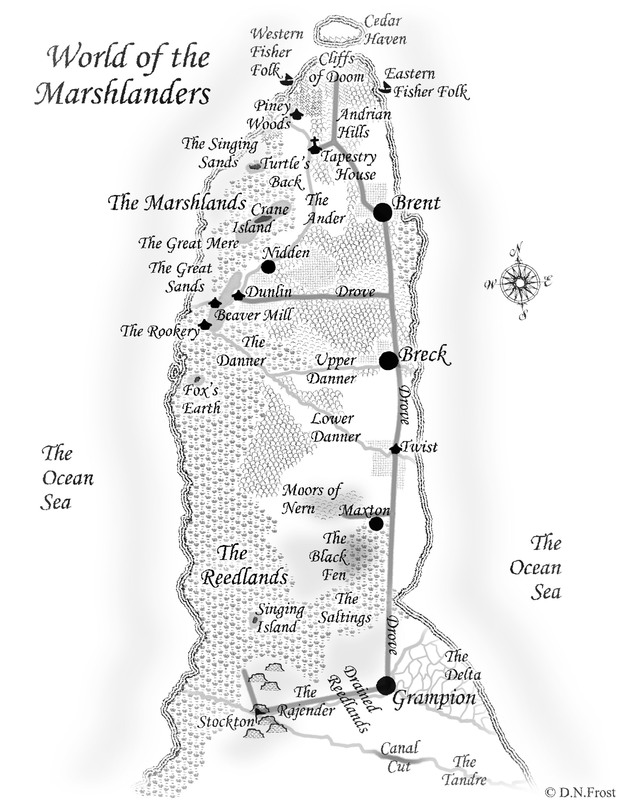 The Marshland Company is led by Clare, and The Delta Company is led by her mother Margaret. Years of planning consummate in a final battle. This is a novel about war, challenging beloved communities to take one last stand against evil at the battle for the Black Fen. It is also a novel about the messy outcomes of war, when the victors must find radically new ways to rule lest the whole cycle repeat itself. And those ways have to do with infinite rather than finite games.